Parlor Walls is an experimental NYC trio known for their daunting and disarrayed works of atmospheric, multi-movement tracks. The band’s noise-spliced post punk is composed through digressively agile shifts in melody, tone and arrangement, fusing Gold Dime’s visceral din with Priests’ structured accessibility. EXO, Parlor Walls’ follow up to last year’s fervent Opposites LP, favors more traditional song structure—perhaps a result of the departure of exceptionally talented free-jazz saxophonist Kate Mohanty. With multi-instrumentalist Jason Shelton tagging in, the group marks a new era in songwriting, as the four song EP offers some of their most ear-worming material to date. Parlor Walls’ latest strays away from the notable jazz undertones found on their previous material, favoring the grating sonic proclivities of avant and post punk acts like Exploded View, PJ Harvey, and Sonic Youth. The band marries caustic tension with momentary release, as lead vocalist Alyse Lamb alternates between mantra-like belts and unnerving, effect-coated melodies. 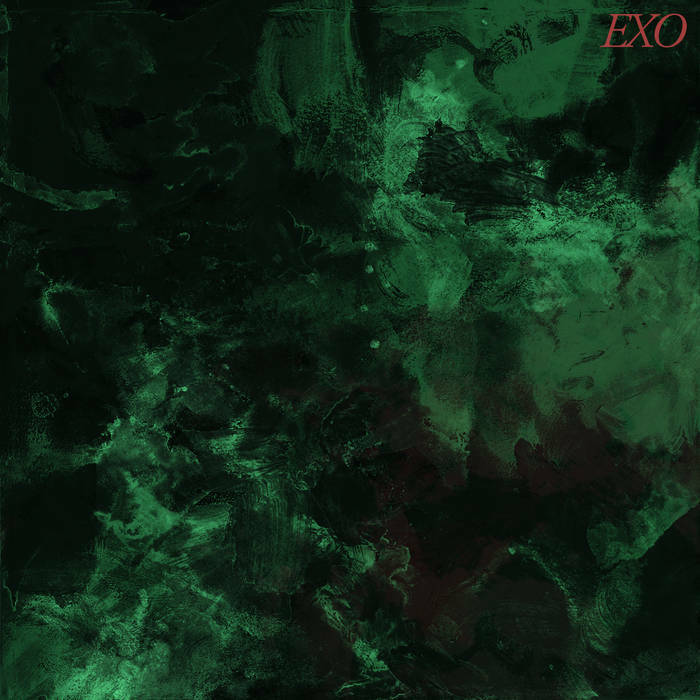 “Isolator” finds the group employing a sinister baseline, a recurring stylistic theme that provides the backbone for EXO’s menacing aesthetic. Opener “Neuromancer” disintegrates in droning, distorted feedback, sonically paralleling its dystopian-themed pop culture reference. The track shares its title with William Gibson’s acclaimed cyberpunk novel that follows Henry Dorsett Case, a computer hacker ousted and poisoned after found stealing from his employer. Lamb’s lyrics loosely allude to the cyber-pirate’s relationship with Molly Millions, a mercenary who offers to help cure Case’s toxic afflictions in exchange for his hacking expertise: “Must be electrifying knowing how to fix me right?/I can penetrate the walls from the outside.” It’s haunting and cinematic; a perfect introduction to EXO’s ominous tone. On “Low Vulture,” fledgling member Shelton shines through fleeting loops of heavily processed clarinet, as rumored human-hydra Chris Mulligan triggers harsh and incessant keys, all while pummeling through fiery drum riffs. Cutting Room engineer Joseph Colmenero, known for his collaboration with hip-hop moguls RZA and Mos Def, places emphasis on the scale of EXO’s sound, moving each member’s contributions into the foreground of the mix. The result is something special: four invitingly abrasive noise excursions, venturing through punk experimentation under a pop guise, marking Parlor Walls’ subtle shift towards increased accessibility.